NuGet Gallery | Packages matching Tags:"View-Model"
19 packages returned for Tags:"View-Model"
A package containing .NET interfaces for reading/writing CQRS ViewModels in a generic way. A package containing RavenDB ViewModel Implementations for use with CR.ViewModels.Core. Utilities to save you some time when using MVVM pattern. Collection of MVVM Helpers such as ObservableRangeCollection, BaseViewModel, Grouping, and others. 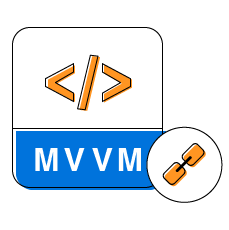 MvcCore - C# MVC Extensible Framework based on MvcCore PHP library. MvvmBinder supports Xamarin.iOS, Xamarin.Android, Xamarin.Mac, Xamarin.Forms, Universal Windows Platform (UWP) and Windows Presentation Framework (WPF).